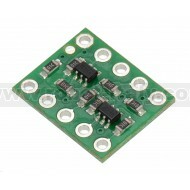 A 0.1″-pitch male header strip is included for use with this board. 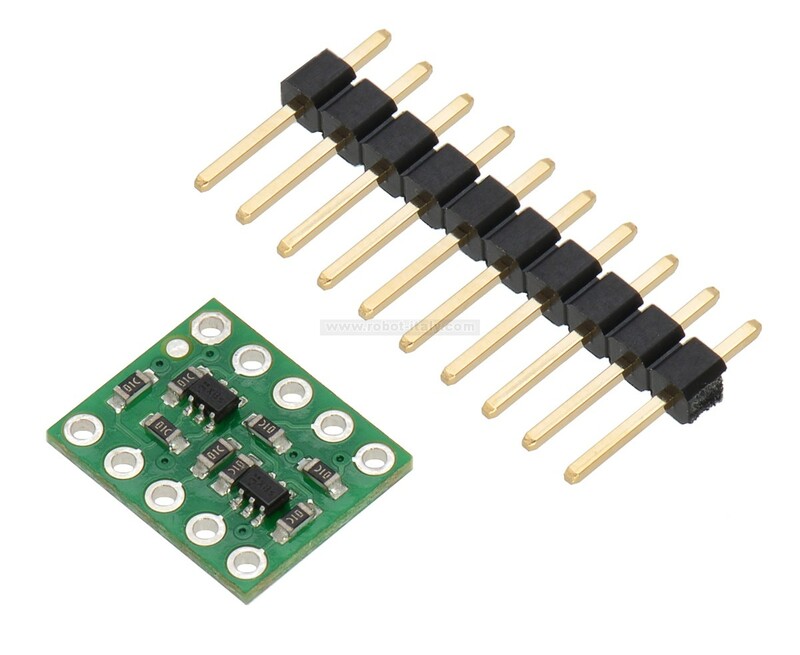 The strip can be broken into smaller pieces and soldered in so the board can be used with perfboards, breadboards, or 0.1″ female connectors. 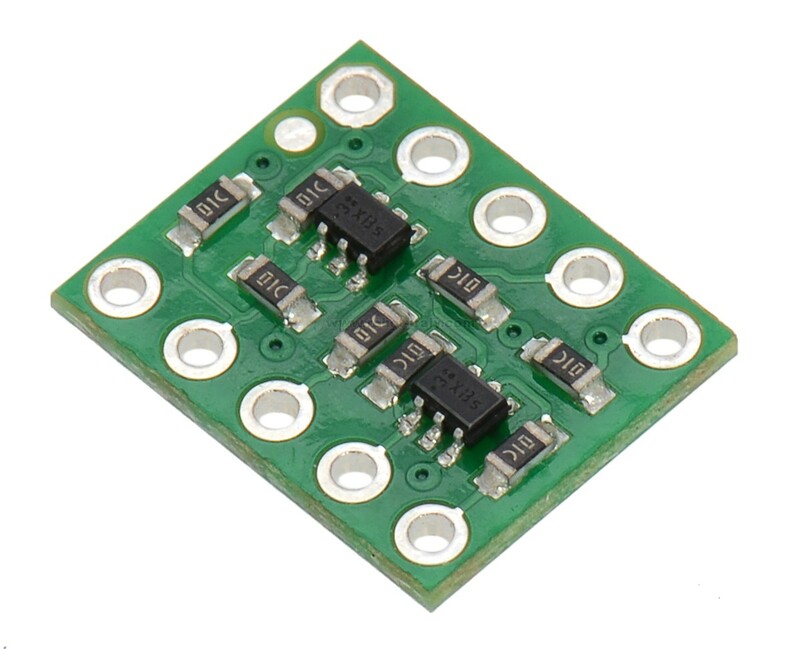 Alternatively, wires can be soldered directly to the board for more compact installations. The connections are labeled on the back side of the of the PCB, so you might find it more convenient to solder the pins in the way that allows the labeled side to be facing up. 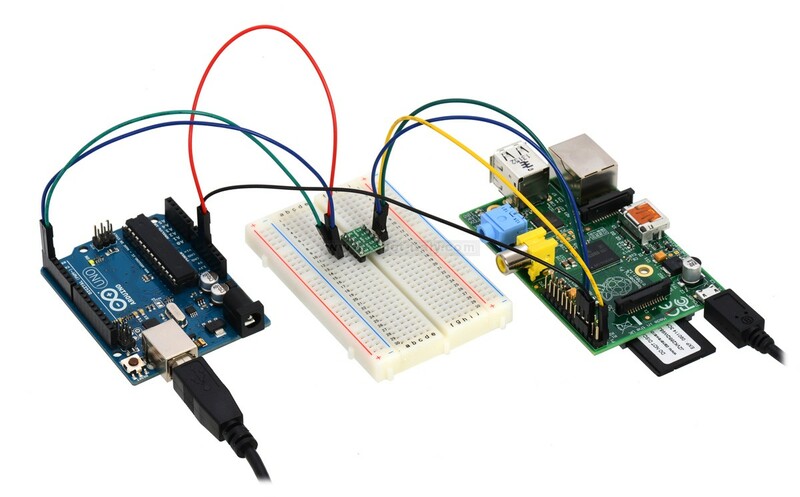 The logic level conversion is accomplished with a simple circuit consisting of a single n-channel MOSFET and a pair of 10 kΩ pull-up resistors for each channel. 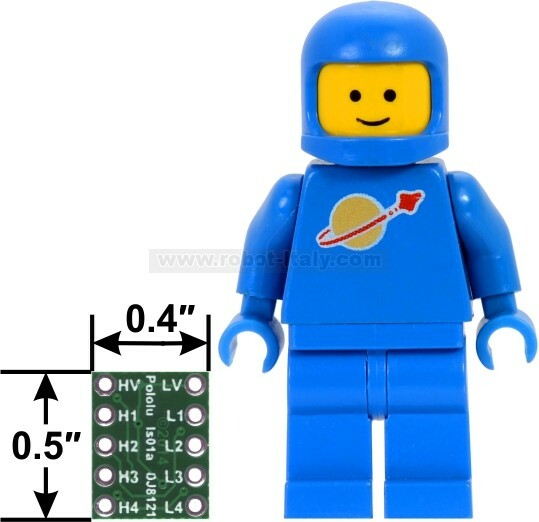 When Lx is driven low, the MOSFET turns on and the zero passes through to Hx. When Hx is driven low, Lx is also driven low through the MOSFET’s body diode, at which point the MOSFET turns on. 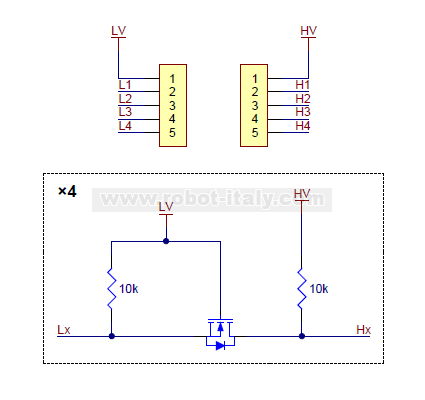 In all other cases, both Lx and Hx are pulled high to their respective logic supply voltages. External pull-ups can be added to speed up the rise time. 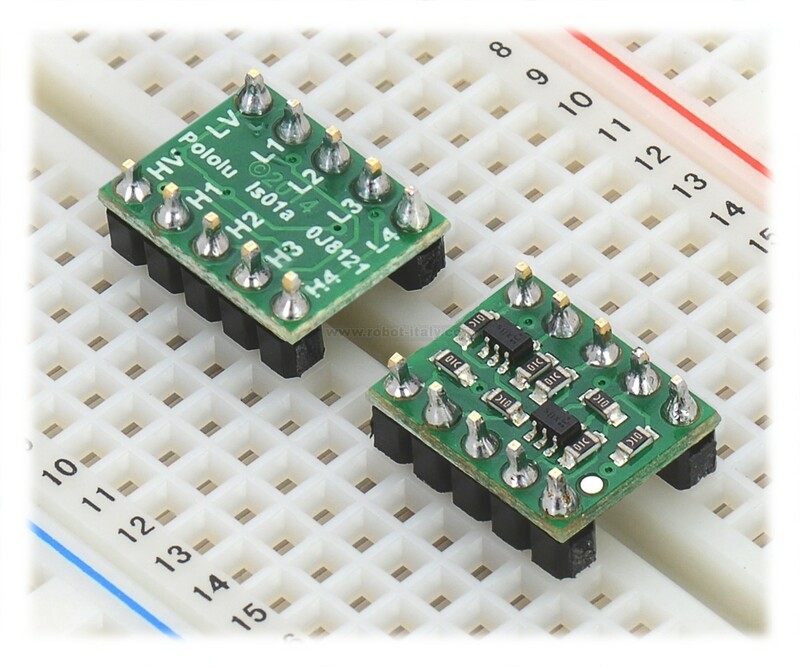 This same circuit is detailed in NXP’s application note on I²C bus level-shifting techniques, and we have used it before on carrier boards for 3.3 V sensors with I²C interfaces – like the MinIMU-9 – to enable them to work directly with both 3.3 V and 5 V systems.